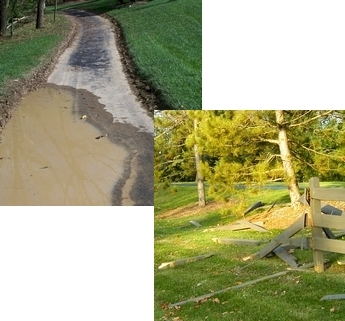 Report a Problem - Muirfield Association, Inc.
Is there a safety hazard the Association should be aware of? Has Association property been damaged? Do the common grounds, landscaping, or amenities need attention? If so, or if you are aware of another problem that our maintenance department or grounds crew should be aware of, please use the form below to report it. A member of our staff will respond once we have received your request. Please be aware that some problems cannot be dealt with by the Association. For example, burned out street lights should be reported to AEP, utility or street problems (such as water main breaks or potholes) should be reported to the City of Dublin, and any issues with cars parked on a pubic street are handled by the police department. If the problem reported cannot be handled by the Association, we will still reply and will do our best to direct you to the correct resource. Always call 911 for emergencies. If it is not an emergency but you feel there is an immediate danger, do not use this form. Instead, call the office at 614-889-0922. I'd Like to Report the Following: * Please be specific. The more information you provide us, the easier it is to correct the problem. Location of Problem: * Please give a detailed location, including a street address and/or intersection if possible. Thank you! A member of the Association staff will respond to your request as soon as possible.